My main computer spent most of this past month in the repair shop, so I'm a bit late in announcing this new title. This is number two of our Chapbooks series. It's a little off-trail from my usual interests, but I particularly like the title story, which does indeed center on a ghost, though the use of the supernatural in it is more for historical and social commentary, rather than the atmospherics usually found in a ghost story. 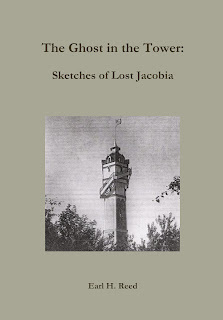 The Ghost in the Tower: Sketches of Lost Jacobia, by Earl H. Reed. Earl H. Reed (1863-1931) was a Chicago area writer and artist who had a special passion for the dunes along the eastern and southern shores of Lake Michigan, authoring and illustrating several books like The Dune Country (1916), Sketches in Duneland (1918) and The Silver Arrow and Other Indian Romances of the Dune Country (1926). Reed’s two small booklets on Jacobia, the estate of his friend Henry W. Jacobs in southwestern Michigan, were published privately as Sketches in Jacobia (1919) and The Ghost in the Tower: An Episode in Jacobia (1921). The former is a short descriptive narrative while the latter is an intriguing ghost story with particular resonances to modern culture. Both rare booklets are here reprinted for the first time, and represent the only literary artifacts concerning Jacobia, a small but intriguing chapter in the history of southwestern Michigan. Introduction by Douglas A. Anderson. 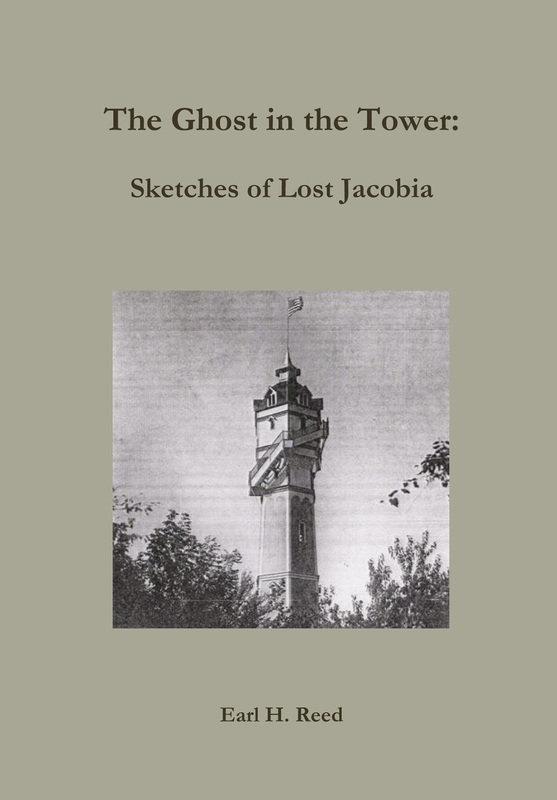 The Ghost in the Tower: Sketches of Lost Jacobia is available in two formats, trade paperback (from Amazon and Lulu) and hard cover with dust-wrapper (from Lulu). Labels: Michigan, REED Earl H.